Airbnb has been a game-changer in our travel style! It’s allowed us to stay in some pretty dope places all over the world for a fraction of the price. 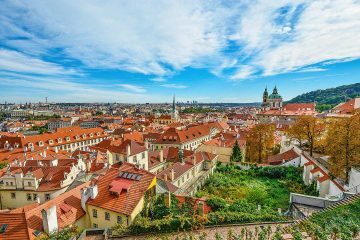 Looking for an Airbnb coupon code this 2019? Here’s a $45 discount code for you! All you have to do is click the link below and sign up. If you’re already an existing Airbnb user, keep reading to find out a travel hack so you can get the discount too. How to Get Discounts with Airbnb? Does the Airbnb Coupon Code Work Everywhere? If you’ve never used Airbnb before, all you have to do is sign up using this link. It will automatically give you $45 off your first booking. If you use this coupon code, you will get $33 off your first home booking of $72 or more and $12 off your first experience of $47 or more. Pretty sweet though right? 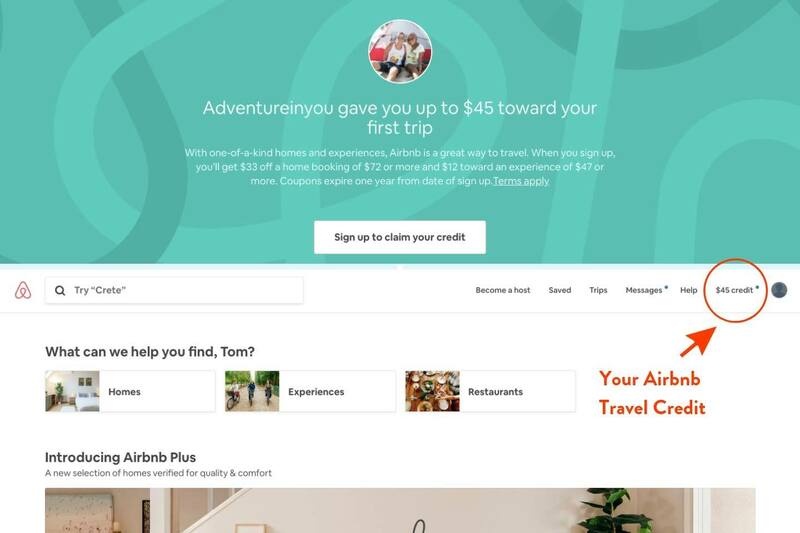 The Airbnb discount code may change now and again ($30, $35 etc.) but the discount currently stands at $45. You don’t have to worry about annoying broken links either as this link will update to whatever the current offer is on Airbnb! If you’re already an existing Airbnb user, all you need to do is log out of your account and create a new account using a different email address. Click this link to sign up with a new account and get $45 off! This allows you to get a $45 off every time! There’s no limit to how many accounts you can have which makes this a great little travel hack. Again, as a general rule, the first stay you book has to be $72 or above for the Airbnb promo code to work. As soon as you sign up using the link, it will automatically credit you with $45. If you look at the image below, the photo on top is exactly what you will see when you click our Airbnb coupon link. As soon as you sign up, the travel credit will go to your account (photo at the bottom) which you can use at any time. 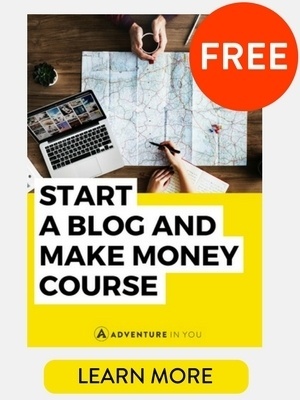 Want more tips on how to get even more discounts? Keep on reading! Sign up to get your own $45 Airbnb promo code and send it to your friends. Send it to people you meet when you travel, to family members or even your other three emails. Spread the love via text, email or Facebook etc and get even more Airbnb credit! Every time one of these people makes a booking on Airbnb that is over $72, you will get $45 worth of Airbnb credit which you can use when booking your own trips! It’s a win-win situation as both you and your friends/family can benefit from it. 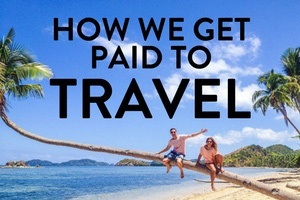 As an added bonus, if they decide to become a host themselves, well then, you get $75 worth of travel credit – boom! Maybe this isn’t a lot to you or maybe it is, either way, you can stay in some pretty sweet places for $75. Much like your friends signing up to be an Airbnb host, giving you $75 worth of credit, you can also sign up yourself. For a first time host, you will be given a whopping $75 credit yourself which you can put towards your next travel destination. That’s a pretty sweet discount! Then think about all the money that you would earn from actually renting your place out to travelers when you’re not there. Airbnb is one of the fastest growing businesses in the world and a lot of people are making some serious dosh from it making it a win-win situation. Another great thing about Airbnb is that the longer you stay, the bigger the discount tends to be. If you’re looking to book an apartment for 7 days but are flexible to stay for 2 weeks for example, you could end up scoring up to a 25-30% discount. 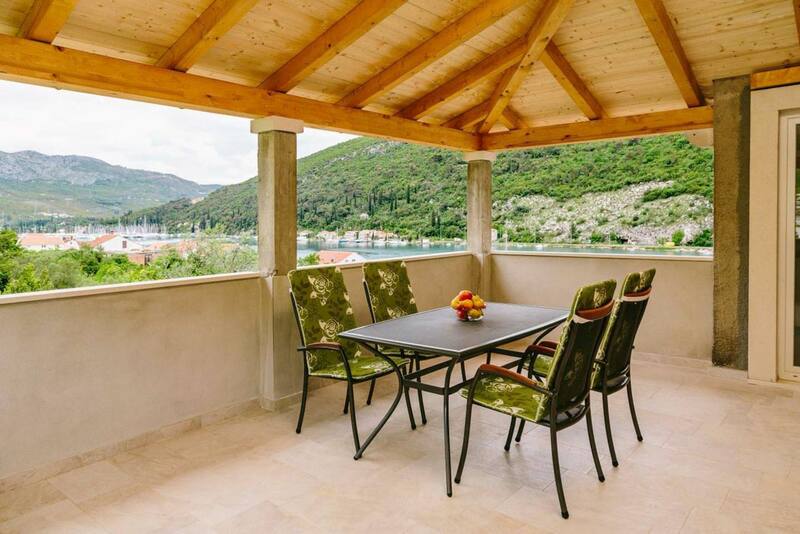 Longterm rentals are a great way to stretch your budget and make the most of the place that you’re traveling to and a lot of the time they can even work out cheaper than a hotel too. Top Tip: When staying in a place for more than two weeks, we usually play around with the dates as sometimes, it would be cheaper renting the place for an entire month, even if you’re only staying for two weeks. We just book the place up for the month and leave early when our time is up! Another way to get a discount on Airbnb is by contacting the hosts directly. We did this when we stayed in Barcelona and ended up getting a FANTASTIC deal for an apartment located right in the center of the city. This saved us almost 40-50%! 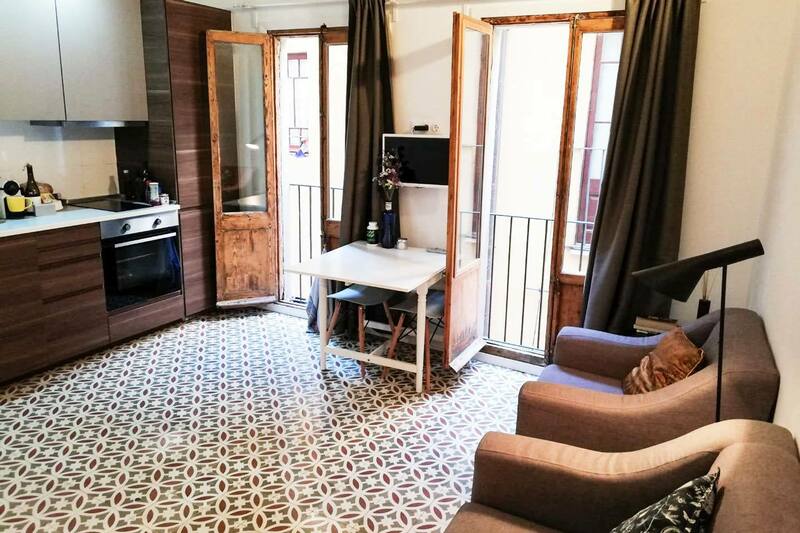 Our incredible flat in Barcelona! The short answer? YES. 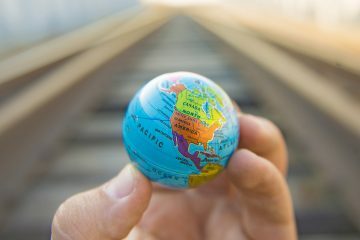 The longer answer: Airbnb is all over the world, it’s anywhere and everywhere and therefore, your code will work for you wherever you are as long as there are Airbnb hosts around. 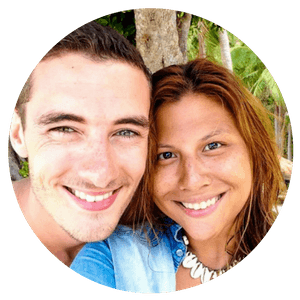 To date, we’ve used Airbnb to get villas in Thailand and Bali. 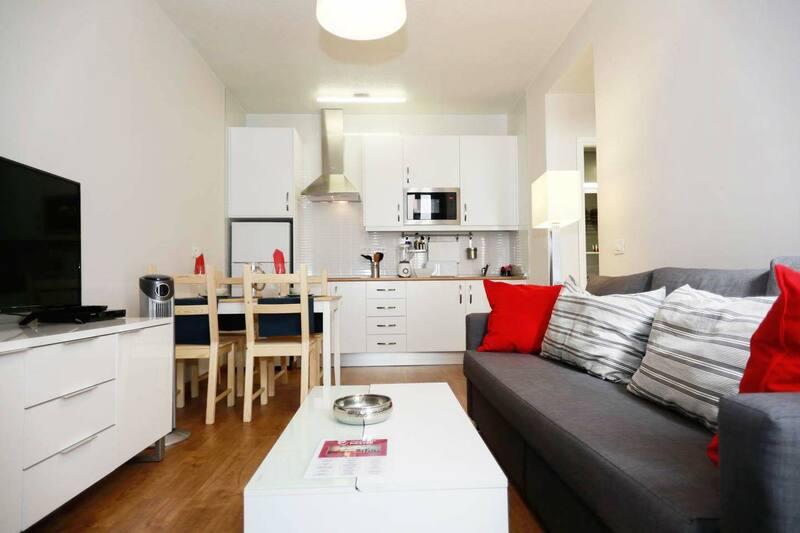 We’ve scored pretty cheap flats all over Europe where we got to save money and cook. We’ve also stayed in ridiculously awesome places in Morocco and Croatia with incredible views. The best part about it is Airbnb really allows you a local experience. In Bristol, our Airbnb host was so lovely! We had food and wine with her and she even gave us some medicine as both Tom and I had fallen ill during the course of our stay. If you’re unfamiliar with the platform, here’s a great video elaborating how exactly to book using Airbnb. Remember, if you use the coupon code, you get it at even a lower rate listed! After watching the video-keep on reading to see our top tips on how to get awesome apartments all over the world. To help you get the most out of your Airbnb stay, here are our top tips when booking your accommodation online. It might sound like common sense, but you don’t want to end up paying more because you imputed too many people or bedrooms than you needed. Also checked if it is a private apartment or a private room in someone’s apartment – there’s a big difference! Using the filter tab will help you find places within your budget along with the facilities that you need. For example, if you are renting a car, you need to make sure that the Airbnb where you are staying has parking nearby. If you can, use Airbnb when you have the flexibility to book a longer stay. As we said before, this can give you quite a substantial discount so explore dates and rental duration to get the best price for you. If not, contact the host if they can provide any sort of discount. Some hosts provide a discount during the off-season so sending one friendly email won’t hurt anybody! 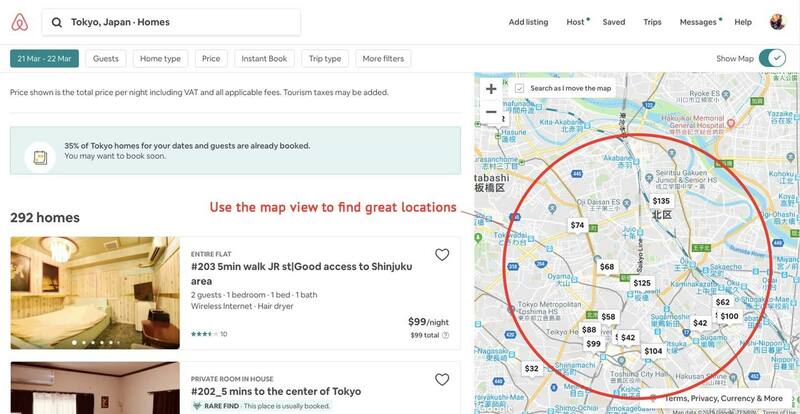 Annoyingly, when you start narrowing down your search in terms of price and other filters, Airbnb will automatically widen your location search. This can be good if there is an option that works for you that is not too far away from where you want to be but it can also really screw you over if you book somewhere way out there in the sticks. Using the map feature can help you find listings within specific areas or landmarks. 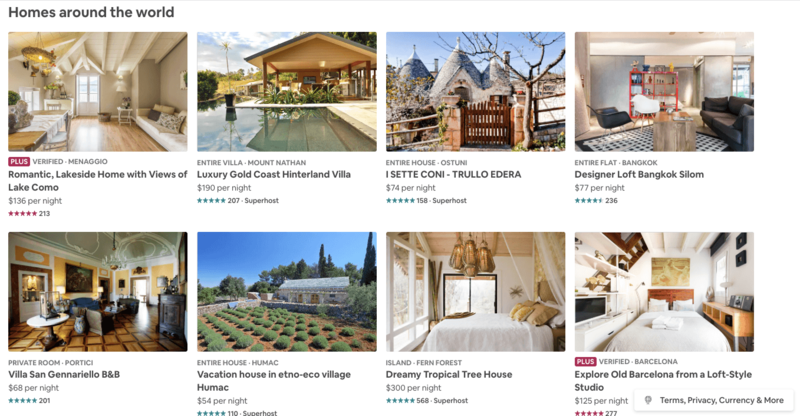 If you are seeing options for Airbnb’s that you can instantly book, turn this feature off! It limits your search results greatly and you’ll likely end up paying more. Some Airbnb listings require approval from the hosts so collecting reviews for your profile goes both ways! It usually requires you to send an Airbnb message to the host. I usually keep it short and sweet, stating what I have planned during my time in that city. As long as you have a complete profile, it shouldn’t be a problem. Many Airbnb hosts will add a cleaning fee to their rental which will be added on to the final price at the end of your booking. This is usually on top of Airbnb fees as well and can range from $5 to $50 per stay so make sure to check this. If you’re a regular Airbnb user and have glowing reviews, you can potentially negotiate a lower fee or no fee at all if the host is confident that you will leave the apartment as you left it. Being a first time user though, you won’t have this power. Positive reviews about both the host and the actual property are great reinforcements about your booking. However, always have an open mind when you’re reading them. Sometimes a negative review can just be because of personal preference so don’t rule a place out completely because of it. On the flip side, hosts get to review you too! You need to remember that you’re staying in someone’s home so being respectful of their space and the items around you is a must. Tom and I always make it a point to leave the Airbnb clean whenever we leave! It doesn’t take us long to tidy and a kind gesture like that goes a long way. You need to know what’s included, what’s not, what the cancellation policy is, and the check in and check out times to make the most of your booking and avoid any unpleasant surprises. There’s nothing worse than arriving at a new place at 2 am in the morning and realizing that you can’t check in because this is an actual person’s apartment and not a hotel…moral of the story is to do your due diligence. Most Airbnb’s will have precise check-in instructions on how to pick up the keys, where to leave it, etc. Reading up on this beforehand can help you choose between listings. If you want someone who is attentive and personable, message the host before booking so that you can make sure that they are the right fit for you. The last thing you want when you’ve paid for a really nice place for a month is a potentially rude or unresponsive host that is unwilling to help when you need it, so make contact and start a conversation. It also allows them to ask any questions of you too. Our hosts in Las Palmas, Spain were so lovely. They even gifted us with bottles of wine and gave recommendations on where to go and what to eat! If you want to find a home away from home when you travel, Airbnb is a great platform to use. Plus you can find some pretty quirky places wherever you are in the world like a treehouse or lighthouse stay and who doesn’t love a bit of quirkiness in their life? Check out a few of the listings that you can find on the platform. Lately, we’ve been traveling a lot slower and staying in places for a lot longer than we ever have before and we’ve loved it. 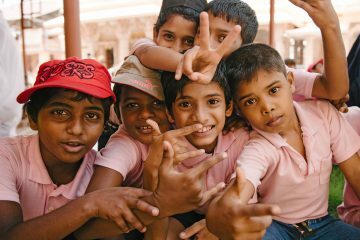 Not only has it allowed us to immerse ourselves in the community and culture of each place, but it has also allowed us to save money when we get an extended-stay discount from our Airbnb booking. It’s for this reason that we can’t recommend it enough! 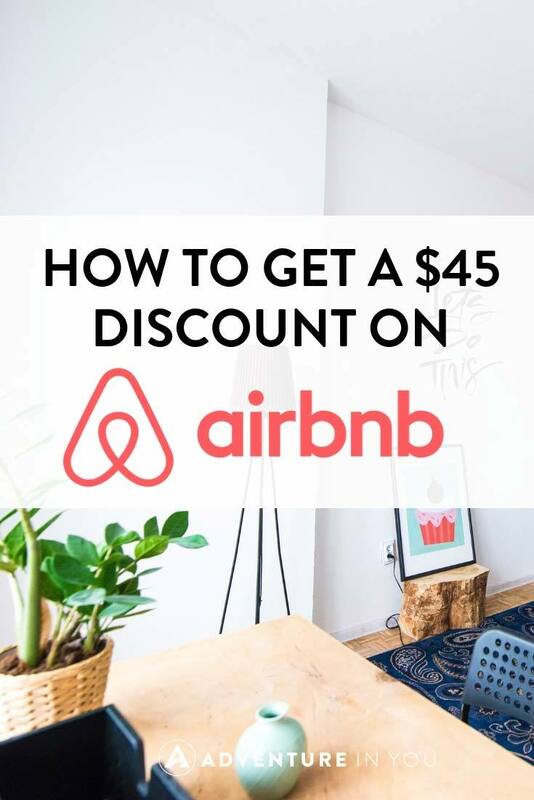 If you didn’t sign up to get $45 off your first time booking with Airbnb at the start of the article, here it is again for you. Get yourself a pretty sweet deal and decide for yourself what you think of the platform. Let us know! When adventure arises, Becky jumps in head first even if she has to work herself up for it! Not living life on the road, she seeks out ‘little adventures’ spending as much time out doors as possible. 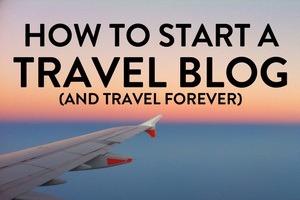 To Plan or Not to Plan when Traveling?